I’m not that crazy about burgers but my family, especially my husband, is. So I make burgers once in a while and when I do, I capitalize on my efforts and make a ton and freeze them. And when you’ve got a ton of frozen burgers, why not also have them for breakfast? After all, that’s what I do when I have leftover cooked burgers. I usually have mine with rice though as in this Loco Moco which is delicious with that yummy gravy! 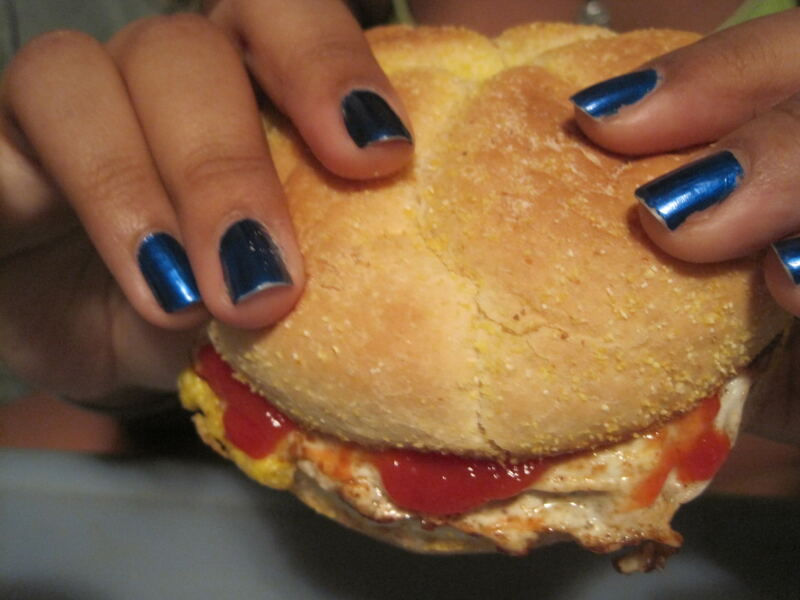 My youngest daughter though, for this burger, simply fried an egg to top her burger, added ketchup, and she’s got a yummy breakfast to go with her tea! 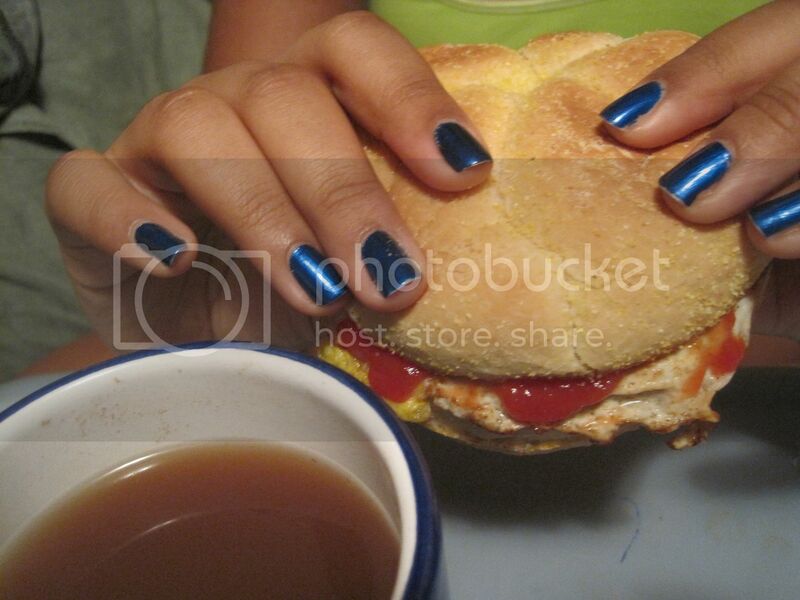 Do you ever have hamburger for breakfast? It sounds sinful, but it’s the same as a plate of sausage, eggs and toast, right?